The instructor will use a combination of techniques to present the information: classroom lecture, discussion of relevant case studies, and hands-on instruction on various models used in air quality analysis modeling. Registration: *Reduced tuition is available for Native American tribes, government employees, nonprofits, students and NAEP, NEBC, NWAEP members. You may register online or by calling the Northwest Environmental Training Center at (425) 270-3274. This course is designed for professionals or interested citizens seeking a greater understanding of the complex arena of air quality, including sources, influences, impacts, regulations, and implications. 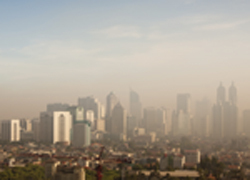 Environmental professionals, planners, technicians, engineers, consultants, public officials, decision-makers, and others responsible for understanding and interpreting effects and implications of air quality impacts will benefit from this course, as will members of citizen's organizations who want to gain an in-depth understanding of air quality in order to develop technical skills necessary to review air quality reports.